Kareena Kapoor and Saif Ali Khan have always been open about the fact that they intend to get married in 2012, and now it seems the dates for the engagement and the wedding are being zeroed in on. Here's more! 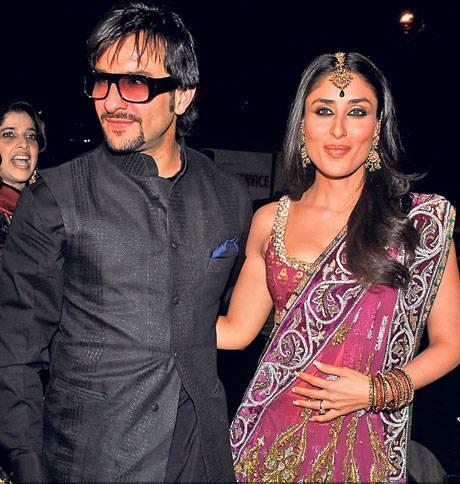 The buzz is that Bebo and Saif plan to have their formal engagement ceremony in February 2012, and the marriage is scheduled for October 2012. The engagement is believed to be around Valentine's Day, making it extra romantic for the couple. Meanwhile October has been chosen for the wedding as Kareena will apparently be able to complete a lot of her pending assignments by then. Even 'Agent Vinod' being produced by Saif would have released by then. Rumour has it that the couple has chosen Switzerland (their fave holiday destination) for their honeymoon. Kareena has supposedly already told her close friends and fave colleagues to keep themselves free around the planned dates of the engagement and the wedding. She shares a great relationship with all three Khans - Aamir, Salman and Shah Rukh - and wants all of them to be there on her special day. And since it's going to be a wedding between Bollywood royalty and actual royalty (Saif's dad Mansoor Ali Khan is the Nawab of Pataudi), it seems only natural that the bride will be dressed by designer royalty. Apparently Ritu Kumar has been chosen to design Kareena's wedding dress. Kareena is known to be a Manish Malhotra loyalist but there's a special reason why Ritu's the pick for the wedding dress. The veteran designer is a close friend of Saif's mum Sharmila Tagore, and has even walked the ramp for her several times. Kareena's mum-in-law-to-be believes that Ritu truly understands the traditional legacy of the Pataudis, and will be able to create the essence of it for the wedding dess. Sharmila Tagore's wedding outfit was originally made for her mother-in-law Begum Sajida Sultan of Bhopal in 1939. And we hear that the heirloom dupatta Saif's mum wore might just be a part of Kareena's outfit.